The Real-Time Shipping Rates feature in Advanced Shipping Manager allows you to offer real-time rates for all of the top shipping methods for domestic and international orders. Choose to use either your negotiated, discounted rate or the rack rate to give your customers the most up-to-date shipping rates available. 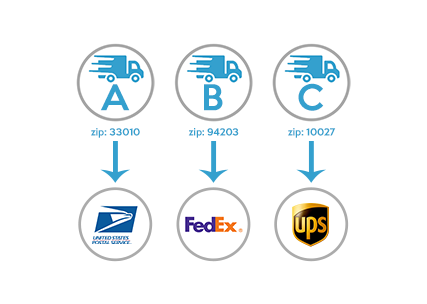 Try pairing your real-time rates with a Shipping Method Populator and give customers the ability to easily see all of your available shipping methods and rates.